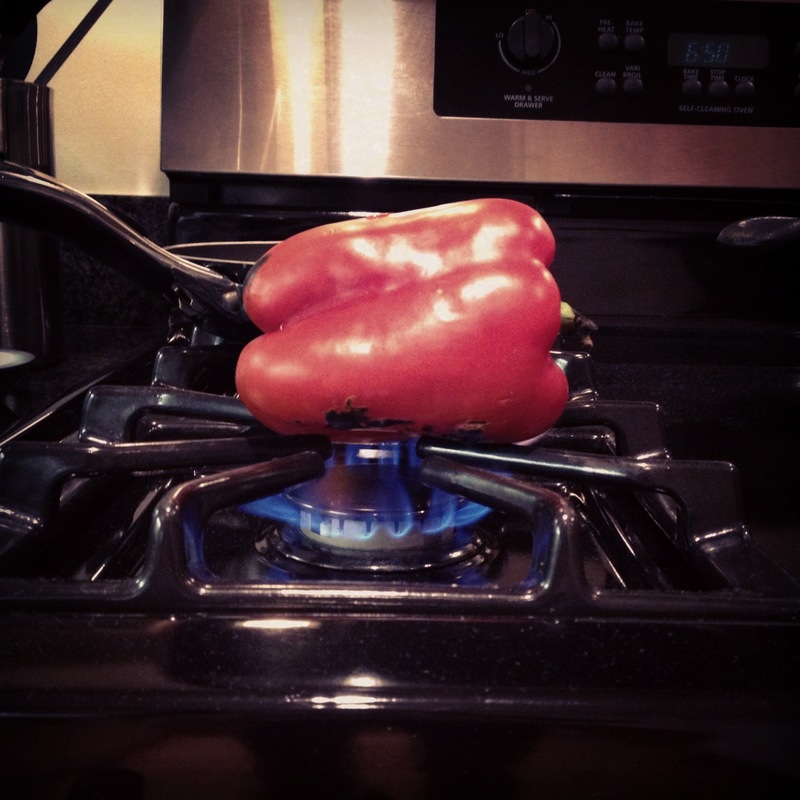 With increased rehearsals, it’s been increasingly hard to find the time to cook. Thankfully, I managed to set aside some free time last Saturday night to do just that! Recently I’ve been loosely following Mark Sisson’s Primal Blueprint diet and have found it isn’t as meat-heavy as I’d anticipated. As a former vegetarian/pescatarian, the “primal” doesn’t sound terribly appealing. Thankfully, the Primal Blueprint is more about replacing empty calories (rice, pasta, potatoes) with other veggie goodness rather than loading your plate with animal protein. 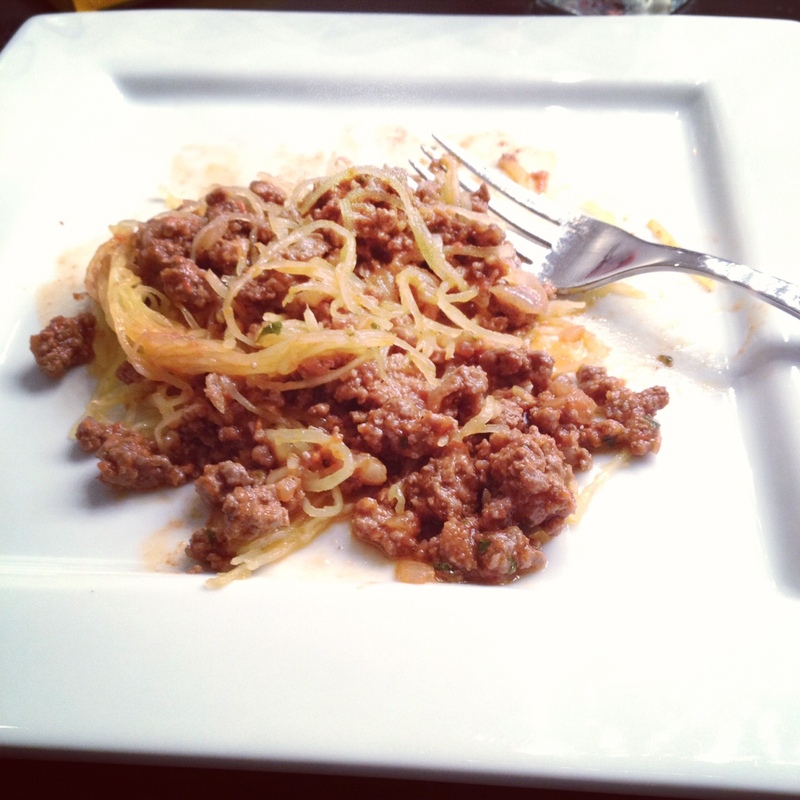 I’m a huge fan of Italian pasta dishes and therefore decided upon using spaghetti squash as my pasta replacement. BEST. IDEA. EVER. Not only does it look like and have the consistency of spaghetti noodles, but it’s a great source of antioxidants like alpha and beta-carotene! Preheat oven to 375 degrees. Cut spaghetti squash in halves or quarters and scoop out seeds and slimey stuff. Brush with olive oil, place rind side up and bake for 30-45 minutes. Cook onion in large pan over medium-high heat until translucent. Add bison and brown. Meanwhile, toss the roasted bell peppers, tomatoes, basil, and garlic into a blender of food processor. Add sauce to onions and bison. Simmer. Add salt/pepper to taste. I usually throw in a splash of red wine. Whatever you’ve got on hand! 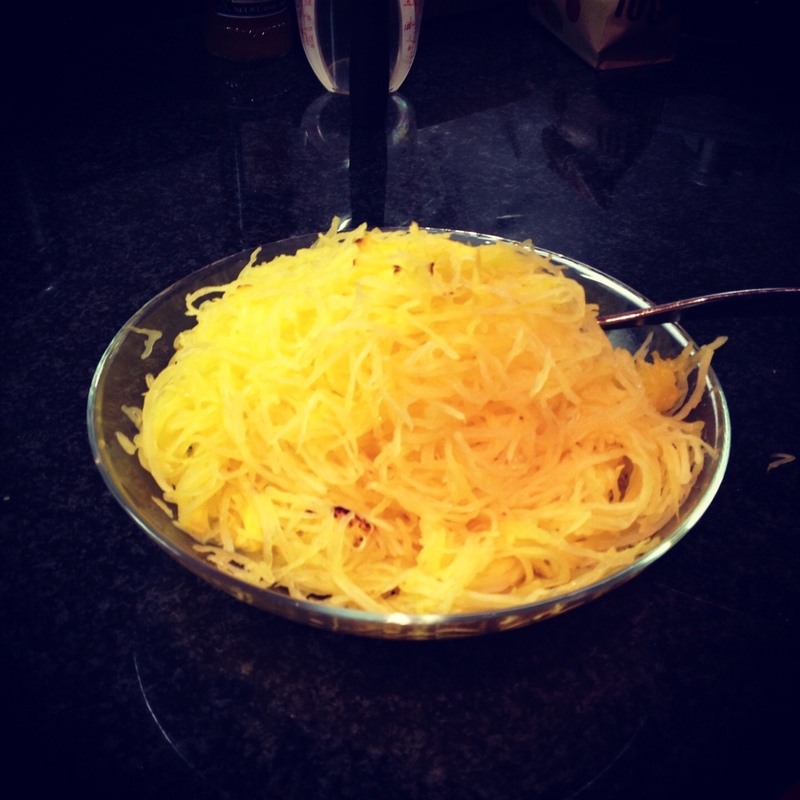 Remove spaghetti squash from oven, scrape the strands out with a fork. Divide among four plates, spoon over bolognese sauce, and serve with a salad.